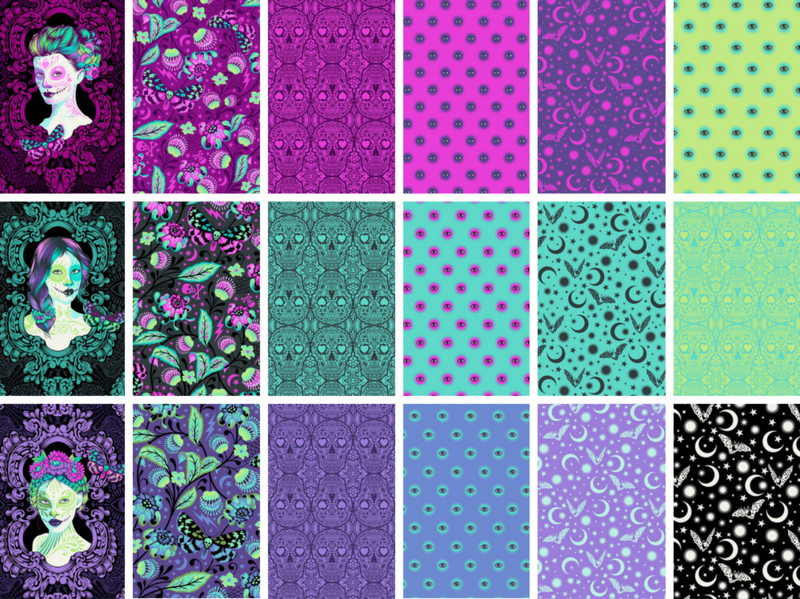 This listing is for fabric bundles of the new De La Luna collection by Tula Pink. PLEASE NOTE: The cameo heads in the Possessed print are quite large and the pattern repeats every 24". In order to avoid giving customers partial heads, we are cutting Possessed increments of 24" (so no 1/2 yards cuts as that would be 1.5 rows of heads). 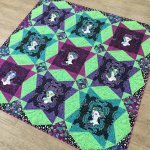 Fat quarters are a minimum of 18" x 21" (Possessed will be 24" x 21"). Half yard cuts are a minimum of 18" x 43" (Possessed will be 24" x 43"). If you buy multiple half yard bundles, we will cut continuous yardage for you.